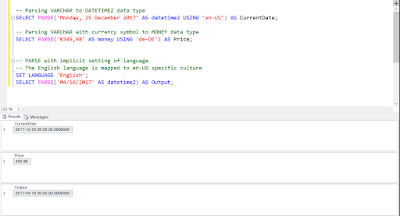 Though all three, CAST, CONVERT and PARSE are used to convert one data type into another in SQL Server, there are some subtle differences between them.The CAST method accepts just two parameters, expression, and target type, but CONVERT() also takes a third parameter representing the format of conversion, which is supported for some conversions, like between character strings and date time values. For example, CONVERT(DATE, '2/7/2015', 101) converts the character string '2/7/2015' to DATE using DATE format 101, representing United States standard. By using the PARSE function, you can also indicate the culture by using any culture supported by the Microsoft's dot NET framework. 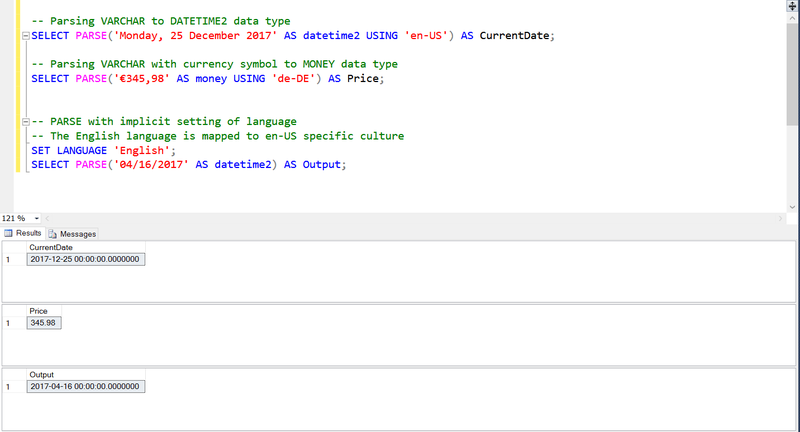 For example, PARSE('7/8/2015' AS DATE USING 'en-US') parse the input literal as a DATE by using a United State English Culture, similar to 101 formatting style. 1) CAST is supported by ANSI SQL Standard, so it's a best practice to prefer CAST over CONVERT and PARSE if its enough to do the job. 2) PARSE function relies on the presence of the .NET framework common language runtime (CLR), which may be an extra dependency and may not be present in every Windows server where you have installed Microsoft SQL Server. 3) The PARSE function supports an optional USING clause indicating the culture, which is any valid culture supported by the .NET framework. If culture is not specified then it will use the current session's effective language. 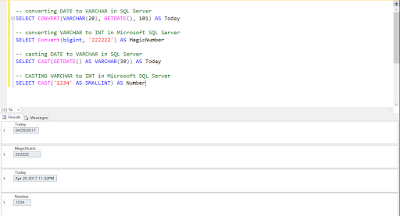 Let's see some example to convert DATE to VARCHAR in Microsoft SQL Server using the cast(), convert(), and parse function. You can see that the casting has been successful. 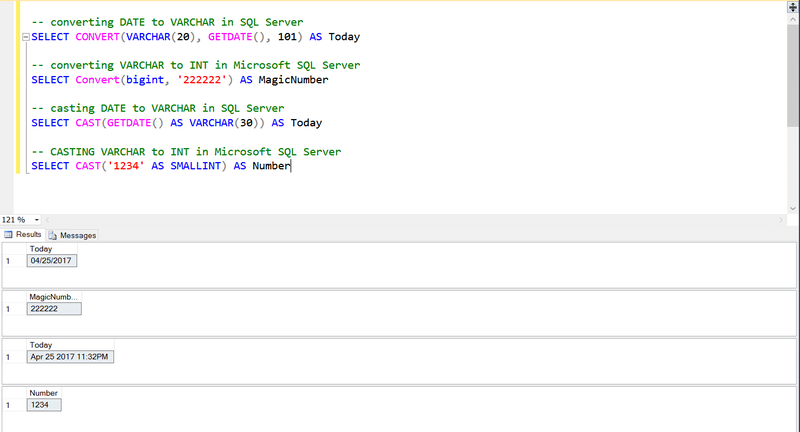 If you want to learn more about CAST function and how to convert all SQL Server data types e.g. numeric, money, datetime2 into VARCHAR and others, I suggest you to reading Querying Microsoft SQL Server 2012, one of the best books I have read in SQL Server so far. It is actually a study guide of Microsoft SQL Server certification Exam 70-461 but at the same time one of the greatest book to learn T-SQL fundamental as well. Convert function is mainly used to convert Date to VARCHAR value into different date format as shown here. Error converting string value '$345,98' into data type money using culture 'de-DE'. But as soon as you change the culture to en-US it will be able to parse the currency value correctly, but do note down the actual value which is very different from the german one, that's where a culture can make a big difference. That's all about the difference between CAST, CONVERT and PARSE in SQL SERVER. Prefer CAST over CONVERT and PARSE because it's ANSI standard and your query will be more portable across different database vendors. I generally prefer CAST for casting between VARCHAR and NUMERIC type, but I prefer to use CONVERT for converting String literals into DATE, TIME, and DATETIME types. I don't use PARSE, but is something good to know about it. P.S.- If you are working in Microsoft SQL Server 200, 2012 or 2014 version but doesn't feel very confident when using SQL Server and T-SQL specific features and functions then I suggest you reading a good book on Microsoft SQL Server e.g. 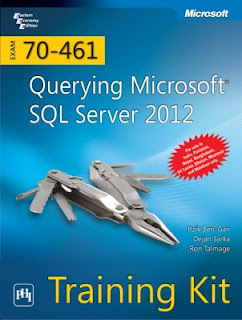 Microsoft SQL Server 2012 T-SQL Fundamentals (Developer Reference) 1st Edition by Itzik Ben-Gan.. This is an excellent book to start learning MSSQL database from scratch.